Traveling on a plane has its disadvantages, especially if you aren't fond of sitting incredibly close to strangers. 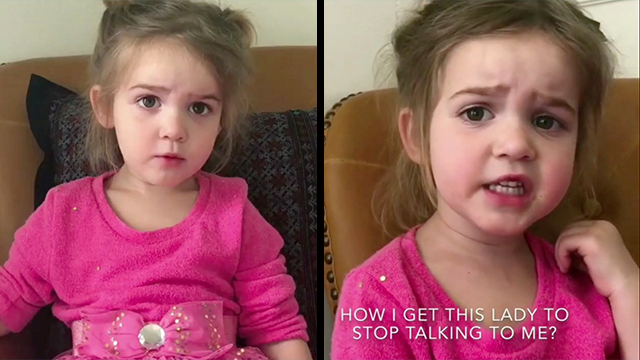 Hilariously adorable Mila Stauffer has a thing or two to say about chatty passengers. Don't they get it? The girl just wants to play on her iPad! Mother Katie says the little star wants to be an actress someday and we'd say she sure has a talent for it.